I was excited when I learned that the parents of a student I knew produced a product my family used and enjoyed. His response to me was “Yea, they’re getting rich off you.” He was quite confused when I replied “They should be. They make a very good product. If they are not getting rich, they are not good business people.” The student expected me to be envious of his parents’ success rather than thankful for the product that met my family’s needs better than anything else. In a free society, people get rich by providing goods and services people want at prices they are willing to pay. Yes, there are people like the founders of Solyndra who game the system and get rich from government favors. Still, most people who become rich do so by serving others, whether it be designing new computers or running a carpet installation business. 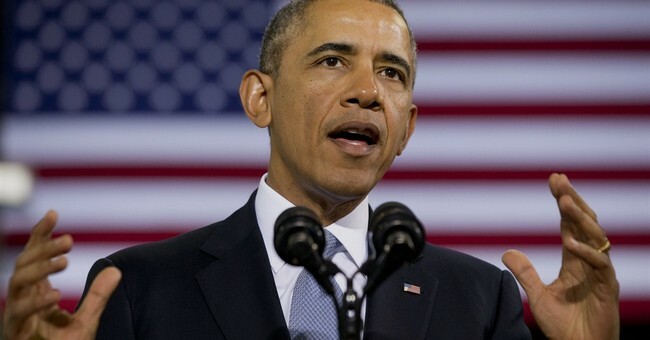 President Obama has made the reduction of income inequality a key focus of his second term. Our president is promoting the politics of envy. We are told that some people have more than their fair share, and that only the government can make things more fair by taxing and regulating the successful. The losses of the rich are supposed to make the rest of us happier and better off. Since the president was inaugurated, middle-class incomes have fallen when adjusted for inflation. Five years of the Obama presidency with tens of thousands of new regulations and hundreds of billions of dollars of stimulus spending and tax increases on the wealthy have not helped middle-income families. This is not surprising. Remember President Clinton’s luxury tax? It was supposed to affect only the rich who bought things like yachts. The people who built yachts lost their jobs when the rich stopped buying luxuries. President Clinton was humble enough to allow the luxury tax to be repealed. Our current president is doubling down on more of what has failed and is prepared to use constitutionally dubious methods, circumventing the legislative branch, to do so. We do not need new savings accounts created by executive fiat so middle-income people can loan more money to the government. Savings Bonds already exist. We need more wealth creation. Contrary to what many pundits claim, wealth is good. Wealth is fresh fruits and vegetables in January, indoor plumbing, and MRI machines. Neither will raising the minimum wage improve the lot of those who earn it. People can only be paid what their labor is worth for a particular job in the current economy. Raising the minimum wage will increase automation, eliminating low-level jobs. Claiming otherwise for political support simply takes advantage of people while pretending to help. It is not by chance that the United States is a wealthy country. Yes, the government was involved in such things as building roads which have helped business. However, government does not have any resources of its own. Roads were built because productive people paid taxes to pay for them. We have become a wealthy country because for most of our history we have had relatively low taxes (when rates were high there were huge loopholes), limited regulation, the rule of law, and relatively little corruption. No one is arguing that there should be no government, or that no tax revenue should be collected. Limited government, however, provides the freedom for entrepreneurs to provide solutions to people’s problems and improve their lives. If our elected officials would in humility stop trying to engineer fairness, step back and let Americans create wealth, the middle class could thrive again. President Obama is encouraging us to compare ourselves to those who have more. Rather than using these people as examples of how to achieve success, he is telling us it is unfair and that he can bring fairness and prosperity. Political points may be scored, but it will not improve our standard of living. If Americans succumb to the politics of envy we will be less happy and poorer for it.